So much activity lately for such a hidey creature like myself! I have spent much of the past week curled up on the couch with my studies, blog, or Netflix. My batteries can take a while to recharge sometimes, especially when I’m working my brain so hard, so I’ve been spending a lot of time relaxing lately. I’ve also developed a serious problem with consuming chocolate, and have been on a violent rampage eating everything from Nutella to powdered hot chocolate mix. I know that sounds super interesting, and I’d love to share the details, but for now, here’s an update on what I’ve been up to when I’m not on the couch or stuffing my face. On Saturday, we had our second out of six excursions (the first being the trip to Ulm last weekend). We headed to Stuttgart, the capital of Baden-Württemberg, which is only about an hour’s train ride away from Horb. 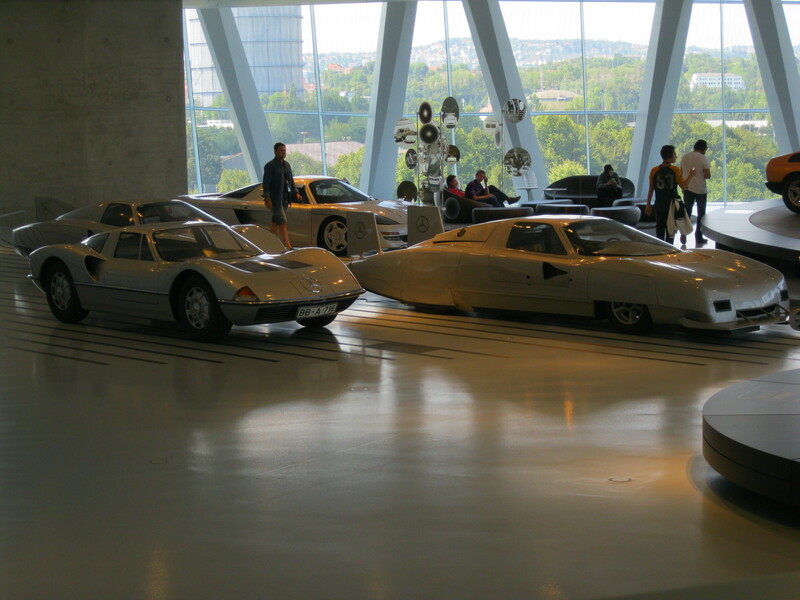 Stuttgart is home to the Mercedes-Benz museum, which at first thought seemed only mildly interesting. 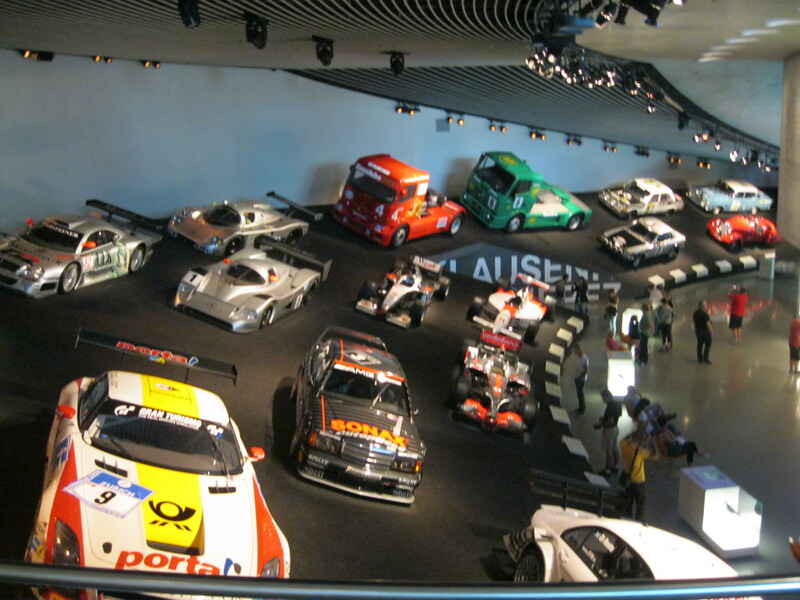 As it turned out, this museum provided a comprehensive overview of European history for the past 130 or so years. I found this extremely helpful, as I conveniently forgot everything that I learned in high school history classes as soon as the finals were over. 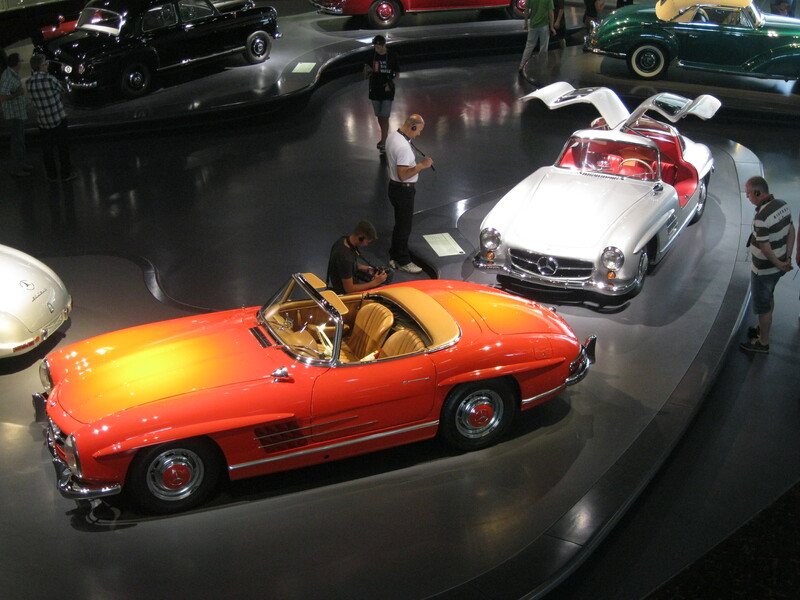 The history of Mercedes-Benz was also interesting to follow, and although I will certainly never choose to own one, I think I have a bit more respect for the company now than I did before. Reading about how the company’s history tied in with that of the rest of Germany was quite eye-opening as well. Having grown up in the US, I am only just now beginning to learn what it is like to be in a country affected by war, and I count myself fortunate to have this opportunity. After the museum, we were set loose to explore Stuttgart. I wandered about with some students from my class, meandering through the outdoor mall on Königstraße near the Schloßplatz. We got some Chinese food, which is not bad in Germany, but nowhere near the quality as is found in California, and followed it with some ice cream in the park in front of the Schloss (castle). There was a jazz/rap hybrid group performing in the park, which was incredibly entertaining, and hundreds of other people were lounging on the grass as well, enjoying the beautiful weather. After we had had our fill of Vitamin D, we continued down the street to check out more shops. Around 19:00, we decided it was time to head back, and caught the next train back to Horb. Yesterday was Sunday, and it was very productive for me. I went for a run and did some yoga, then spent the rest of the afternoon studying on the couch, and completed my homework assignment in the evening. I had to write a report on a city in Germany, and I was assigned Tübingen. I learned a ton of super interesting things about my future hometown, and I am now way more excited (if that was even possible) to live there. As it turns out, DNA was first encountered in Tübingen by Swiss physician Friedrich Miescher in 1868, although he did not at the time know what it was, and called it “nuclein.” Additionally, from 1788 to 1793, philosophers Friedrich Schelling and Georg Wilhelm Friedrich Hegel and the poet Friedrich Hölderlin (lots of Friedrichs in Germany) resided together while they attended the Tübinger Stift, a Protestant seminary attached to the University of Tübingen. They shared a dislike for the seminary’s restrictive environment, and together heavily influenced German theological idealism. The Stocherkahn, a long wooden boat powered by a long pole that is often compared to the Venizian gondola, is also unique to Tübingen. Every year, students from the University participate in ein Stocherkannrennen, or Stocherkahn race, which involves mandatory costumes and a mad frenzy of 50 boats scrambling to complete two laps around the island in the middle of the Neckar river. The winning team gets a trophy and beer donated by the city, and each member of the losing team must consume a half liter of fish oil in front of all the spectators. The castle in Tübingen, Hohentübingen, was constructed around the year 1078 AD, and the city of Tübingen was established soon after in 1191. Much to my delight, the city has been on an environmental campaign to continually reduce CO2 emissions annually, and has so far been successful. Additionally, according to a recent survey, Tübingen ranked number one in all of Germany for the highest quality of living. That’s all I’ve got for now, and I will be quite busy this week preparing for Friday’s midterm, so I will probably not post anything after today. This upcoming weekend we are heading to Freiburg for our third excursion, and I will post photos and a recap shortly thereafter. Enjoy your week, bis später! One of the first motor-powered vehicles! One of the first motorcycles! 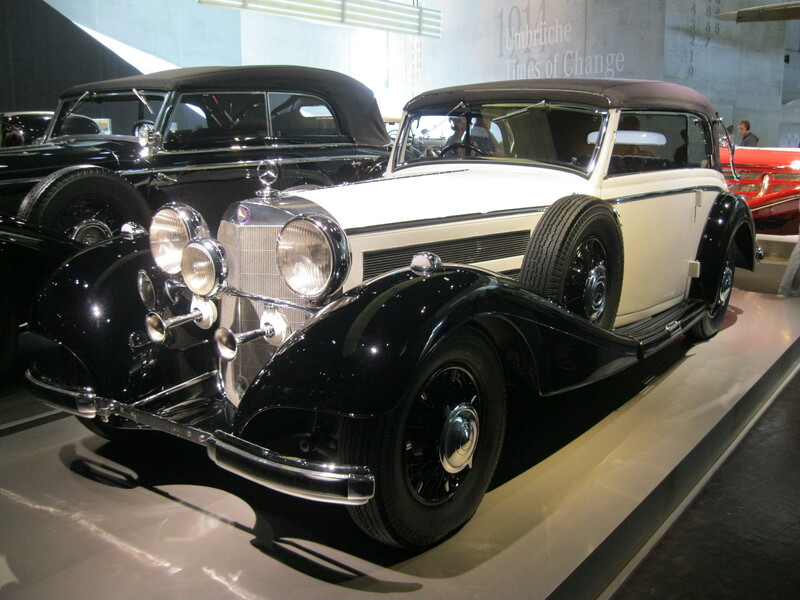 Chancellor of the Reich Otto von Bismark’s boat! The first beer delivery vehicle! 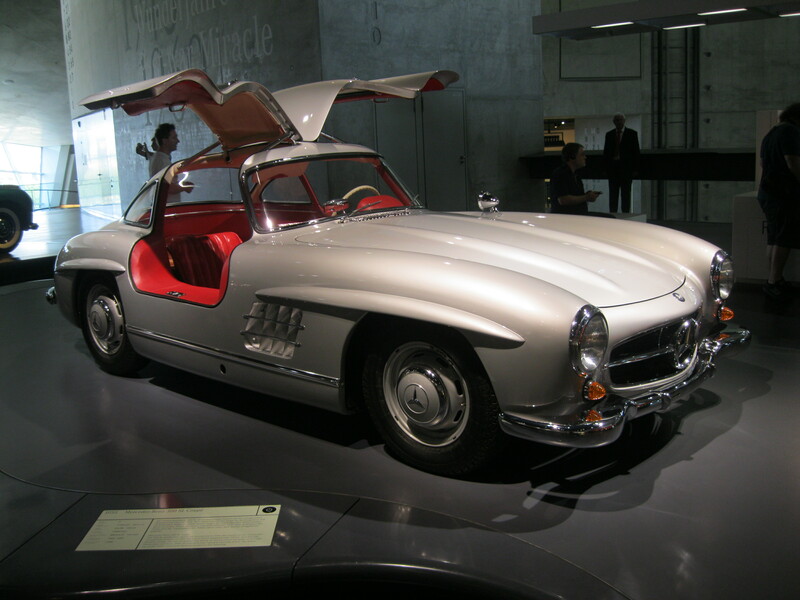 The Germans sorted out their vehicular priorities rather quickly. I took a crappy photo of the castle because I thought I’d get a better angle later…nope! So here, have this one.